2. If my buyer purchases a home worth $770,000 is there a partial exemption? 3. How does the 3% tax get applied? 4. When are these changes effective? These changes are effective on all deals closing now and going forward. 5. How is the government going to monitor the 1 year occupancy detail? As with the FTHB exemption, the Ministry will send a letter to the purchaser at the end of the year to confirm compliance. 6. If client is a first time buyer and purchases a $550,000 used (not new) property, do they still pay Property Purchase Tax? YES, the $475,000 limit remains the same for first time home buyer’s first property purchase. The first time home buyer's exemption values remain as they were. 7. How do these recent changes apply for contracts already in place that have not completed yet? The new amendments to the Property Transfer Tax Act deal only with the registration date and not the date of the contract. 8. For the New Housing Exemption of $750,000, is there any portion over $750,000 subject to 1%, or does it start at 2% on the portion over $750,000 – much like the first time home buyer exemption? 9. Does this apply to commercial property purchases? YES it does! This is significant, as many commercial/industrial/office buildings are valued quite high. There is a 3% tax on the value over $2,000,000.00 on these buildings. 10. Is the exemption based on the pre-GST or net purchase price, or the purchase price including GST? The lawyer will back out the GST from the price so that Property Transfer Tax is calculated on the net price, which must be under $750,000 for the full exemption. 11. Can a Buyer qualify for the First Time Home Buyer Exemption or the New Housing Exemption even if they move here from another province? The First Time Home Buyer Exemption applies if the Buyer is either a Canadian citizen or permanent resident AND have lived in B.C. for 12 consecutive months immediately before the date they take ownership of the property, or they have filed at least 2 income tax returns as a B.C. resident in the last 6 years. For the New Housing Exemption the Buyer must be an individual and either a Canadian citizen or permanent resident. Note the difference, for the First Time Home Buyer Exemption there is a residency in B.C. requirement but not for the New Housing Exemption. 12. Does the New Housing Property Transfer Tax Exemption apply to all real estate purchases whether they are principal residence or investment? These exemptions ONLY apply to principal residence; full Property Transfer Tax applies to investment properties. 13. How does this "equal to or smaller than.5 hectare" rule work with attached properties? 14. On a property over $2,000,000, is the Property Transfer Tax 1% on the first $200,000 and the remaining is now 3% instead of 2%? NO, it is 1% on the first $200,000, 2% on values over $200,000 up to $2,000,000, and 3% on any value over $2,000,000. The change applies when the sale reaches $2,000,000 it will be 3% on the value over $2,000,000. 15. I am selling a newly constructed work/live townhouse in Surrey. Retail space is on the main floor, they are separate strata's but sold as one unit. Assuming the buyer is living in the property do you know if they will get the Property Transfer Tax waived even though the main floor is retail space? 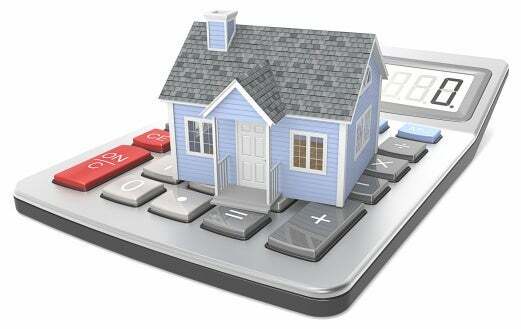 If they are strata's the Property Transfer Tax is based on individual units and their values. There will be an exemption for the townhouse that is a principal residence, but not on the retail portion. 12. Is the below calculation correct with the new rules? Thank you to Tony Spagnuolo and Sutton West Coast Realty for providing the breakdown.